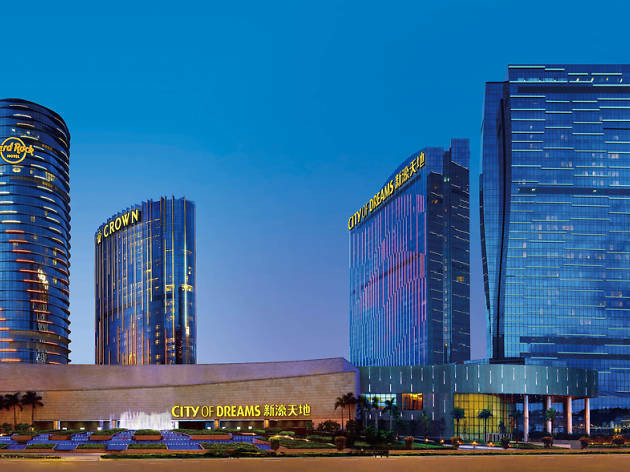 City of Dreams is a sprawling complex offering four hotels, upscale dining, shopping & shows. 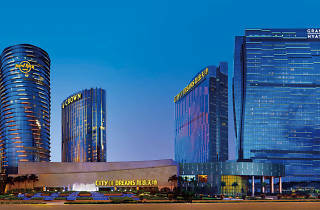 It is home to four world-renowned hotels: Crown Towers, Hard Rock Hotel, Grand Hyatt Macau, and The Countdown Hotel. It also includes entertainment, like The House of Dancing Water, Kids' City, and Club Cubic, as well as 4 spas, 2 casinos, and endless shopping and dining options.